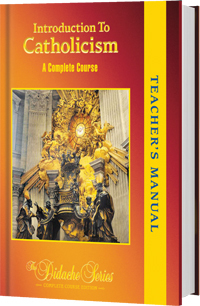 This Second Edition of the Teacher's Manual is designed to help the instructor actively engage students in discussions, activities, and reviews that help students learn the basic tenets of and reasoning behind the Catholic Faith. It is a companion to the textbook Introduction to Catholicism, 2nd Edition: A Complete Course. It is a complete and thorough revision of the previous Teacher's Manual, presented in full color.